It shouldn't come as a surprise that Windows 9 will be supporting 4K out of the box. However, according to a Russian website, Microsoft's forthcoming operating system will also be able to power 8K monitors (when they become mainstream, that is). 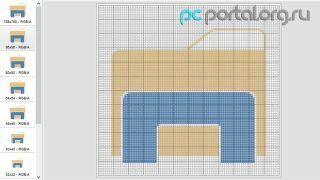 PCPortal published two pictures that appear to show the new sizes of the Windows Explorer icon, which show an ultra-sharp 768 x 768 pixel-resolution grid for the ubiquitous graphic. Another picture shows how the scaling for classic apps will evolve from 96dpi all the way to 240dpi. That's equivalent to a 8K resolution (7680 x 4320 pixels or 33.2 million pixels) spread over a display with a 37-inch diagonal. The monitor with the highest resolution is Dell's new 27-inch 5K monitor that should be available by the end of the year. 8K displays only exist as prototypes at present, and graphics card that can power simple graphics at such high resolutions - let alone games - are yet to be designed. But it's likely that Microsoft is planning well ahead for the next generation of graphics displays. 4K has yet to become mainstream since the average price of panels is still fairly high; however with the holidays season almost upon us, expect more prices to fall well be below £400 (about $630, AU$700) in the UK at least.